Unfortunately, your registration has been declined by the auctioneer. You can contact the auctioneer on 0049 (0) 62 03/95 77 77 for more information. You are the current highest bidder! To be sure to win, log in for the live auction broadcast on 23 May 2014 09:00 CEST or increase your max bid. For Automobilia Auktion Ladenburg delivery information please telephone 0049 (0) 62 03/95 77 77. The two catalogues for the spring auction in the German town of Ladenburg contain around 3000 lots. A special catalogue is solely dedicated to the topic of photos and contains around 400 selected photographs available at the auction. The catalogue is packed full of highlights, for example a private photo album from James Dean's former mechanic, Rolf Wütherich. This album dates back to the years 1950 and 1951 and contains a multitude of photographs of prototypes produced by the company Porsche at the time. The auction will also feature drivers' overalls from Michael Schumacher and a driver's helmet worn in races. As always, a large number of sales catalogues and brochures will also be available to purchase, including a number of owners' manuals produced by the company Scuderia Ferrari Auto Avio Costruzioni for machine tools. 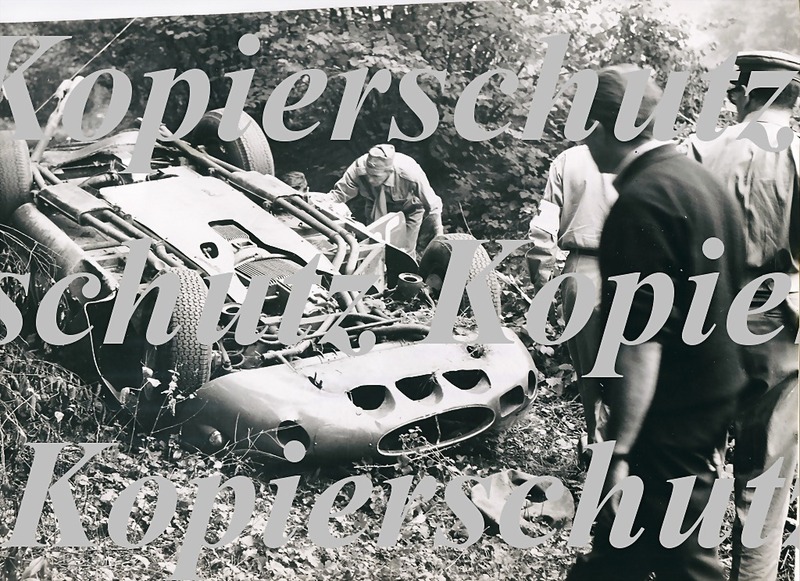 The range of lots also includes more than 200 items from the C.S.A.I (Commissione Sportiva Automobilistica Italiana), race reports, entries and timekeepers' logs from almost all races held in the 1960s and 1970s, for example a report containing timekeepers' logs on Jochen Rindt's accident. Other highlights of the auction include an original Porsche Carrera RS 2.7 power engine and a large number of spare parts from the Porsche Rennsport racing team. These are joined by a multitude of selected automobilia rarities such as badges, trophies, drivers' helmets, hand-signed photos and much more. For more information and to order catalogues, please visit our website at www.autotechnikauktion.de or contact us by telephone by calling 0049 (0)6203 957777. Present buyers have to pay the auctioneer or an authorized person on the day of the auction the hammerprice, the premium and the sales tax cash or with Euro Card with pin. We do not accept credit cards. Absent buyers will get an invoice which has to be paid immediately. Property will be shipped after complete payment. The shipment will be carried out as parcel post on the account and risk of the purchaser. Parcels will be charged by actual fees + handling. A premium of 25 % has to be paid on the knocking down price. The tax/vat of 19% is incl. Invoices issued during the auction have to be checked immediatel. Additional costs ill be charges to the customer. The objects shown in this catalogue and on our website are our property until the total payment will be done.Duplicate and copy needs ouer written agreement. In case the payment does not reach the auctioneer in due time, it will cause an interest for delay for the buyer at a rate of 5% for every month or part thereof. The buyer has the right to proof that the damage is not at hand or less then the afforded flat rate. After appointed time with warning of refusal any of his rights deriving from the knocking down will be lost. The articles will be resold at his own cost. The auctioneer is entitled to claim overall damages at a rate of 25 % of the knockdown price due to default (lost of seller´s and buyer´s commission). Higher expenses remain on the provision. The buyer has the right ro proof of less expenditure.